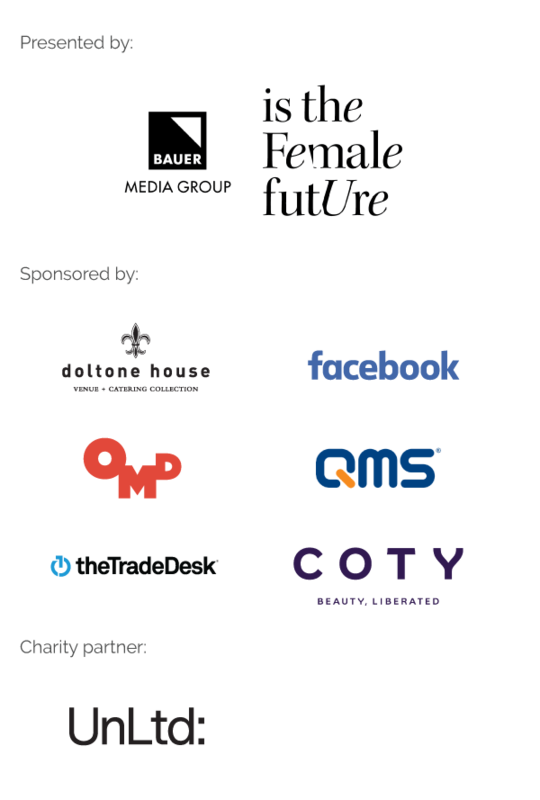 To celebrate the launch of our annual Women in Media Awards (which, come August, will champion some well-deserving women from our industry) we’ve been profiling a couple of fab women a week. Earlier this week we chewed the fat with Jade Meara from Nutanix, and now it’s on to Jocelyn Hunter, managing director of BENCH PR! She was also the first entrant for the Women in Media Awards this year, which only makes her more impressive, TBH. The best piece of advice was from one of the CEOs I worked with in my early career ‘you have one mouth and two ears for a reason’ – listen twice as much as you speak. This has served me well over the years. Most women to be honest. The women I find inspiring are those who I work with, colleagues, ex-bosses and my female role models growing up. My Mum certainly falls into this category, setting up her own business and then going onto run three businesses, as well as bringing up three children with my Dad, enabling him to leave a job he hated. My team inspire me – their positivity, ability to just ‘get stuff done’ and how we all work together as a team. I think there is still some over-promising and under delivering in our industry. I’ll always be honest with clients and realistic. Having a client’s expectations raised about what results can be achieved and then not delivering is awful, for everyone involved. It also makes them very sceptical to try another PR agency after they’ve had a bad experience. The hardest lesson I’ve learnt is to be comfortable being uncomfortable. Comfortable with the ‘lack of control’ in PR – you can do everything right, get all set to release a great story perhaps for a client and then something happens in the news agenda and all of a sudden you have no story. What’s your top tips for others who might be thinking about going out on their own? You have to say no. You have to push back when clients want more than they’re paying for. You have to turn down business that doesn’t excite you, or you can’t see an opportunity for. You have to turn down business if you don’t think you can work with the client team or they don’t listen to your advice. Saying no is something both personally and professionally I used to struggle with. I’m better at it now, but I still feel guilty sometimes. You learn to trust your instincts more when you run a business and value your time. You have to ask yourself, is this the best way to be spending my time? Can I delegate this? Is there a system or tool I can use to make this process easier next time? Your headspace isn’t infinite and your mental health is important, so use your time wisely, trust your team and focus on the clients who you enjoy working with and enable you to do your best work. Be open to opportunity. I guess this applies to any industry, but particularly for media related jobs such as PR or advertising. Try and work for an agency as an intern if you can. No degree or amount of reading will ever prepare you. Meet as many people in the industry as you can, grab that coffee, get your foot in the door because it’s a competitive industry and many media related roles just aren’t advertised. Don’t be afraid to leave jobs if you stop learning or you’re unhappy. I’ve done both. I quit an agency I moved to Manchester for, from London (my CEO at the time told me I was making a ‘career limiting move’) after three months. I left another PR agency after nearly three years because I was working 14 hour days and I realised I wasn’t learning anymore. A client at the time asked what I had planned, I said nothing, I wanted to take a break and they offered me a job as their PR manager. After writing my own job description I took it. Again, it goes back to being open to opportunity and putting yourself out there. Women are vital to every industry. In the PR industry, it’s largely female dominated, but I think it has much more work to do to support the men and women who work in PR. Yes, the media has moved to a 24/7 news cycle but that doesn’t mean PRs need to be at their desks working 14 hour days, five days a week. There are also too many excellent PRs who leave the industry when they decide to start a family or want to work fewer hours, because coming back less than five days a week just isn’t an option. So much great communications experience is walking out of the door of PR agencies and organisations all across Australia – it just didn’t make sense to me, which is why I set up BENCH. To provide flexibility and senior counsel. To use technology (after all we’re tech specialists) to work smarter not harder.